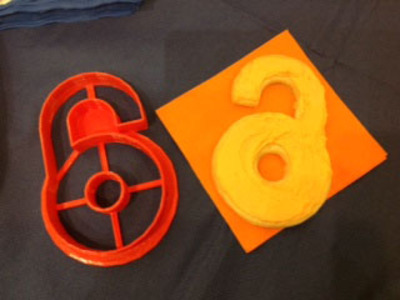 "A Sweet Way to Celebrate Open Access Week"
A frosted open access cookie and the cookie cutter used to make it! The cookie cutter was designed by Chip Wolfe, Digitization Specialist/Access Services Technician at Embry-Riddle Aeronautical University. Both the cookie recipe and cookie cutter design are available for you to use here.